Sweet potatoes have been grown since the Edo period in Kawagoe. Sweet potatoes in Japan originate from Kawagoe potatoes that have grown since the Edo period. The sweet potatoes which are produced in the Kawagoe Area are called Kawagoe-imo. 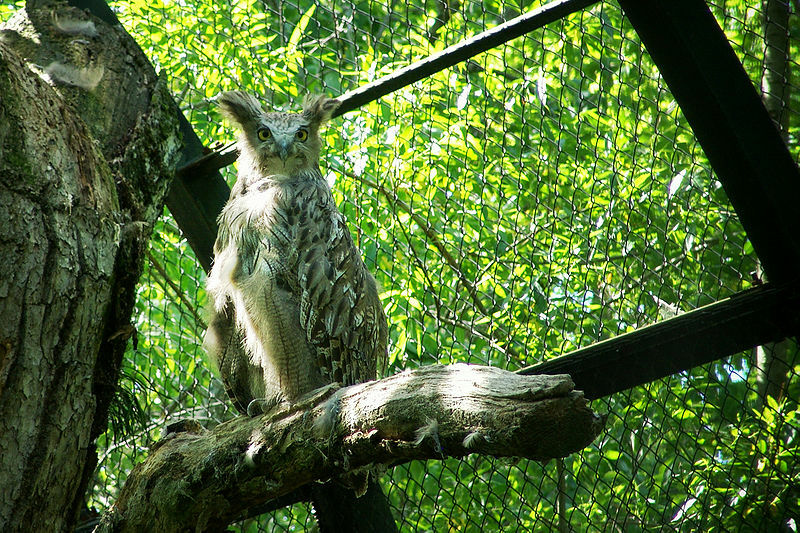 They are grown in the southern part of Kawagoe, at a farming area in Musashinodaichi. Sweet potatoes have been produced there for more than 240 years. Between 1789-1801, Kawagoe sweet potatoes were very popular among the people in Edo (an old name for Tokyo). Kawagoe sweet potatoes are grown exclusively for making baked sweet potatoes. As Kawagoe’s sweet potatoes are of good quality, they became popular as the home of sweet potatoes.. See all about Kawagoe Sweet potatoes. In Kawagoe, visitors have the opportunity to savor interesting products (imogashi) made of sweet potatoes, a local specialty of Kawagoe. Highly recommended is sweet potato soft ice cream. Visitors flock to sample the specialty of Kawagoe at the Kashiya-yokocho, a confectionary lane. It is a five-minute walk from the Fudanotsuji bus stop. Shops selling Japanese candies, sweet potato cakes, rice crackers, and other snacks stand in a row on both sides of the stone-lined lane. In Kawagoe, visitors have the opportunity to savor interesting products (imogashi) made of sweet potatoes, a local specialty of Kawagoe. Highly recommended is sweet potato soft ice cream. For adults, there is also sweet potato beer. This beer is a product that you can get only in Kawagoe. 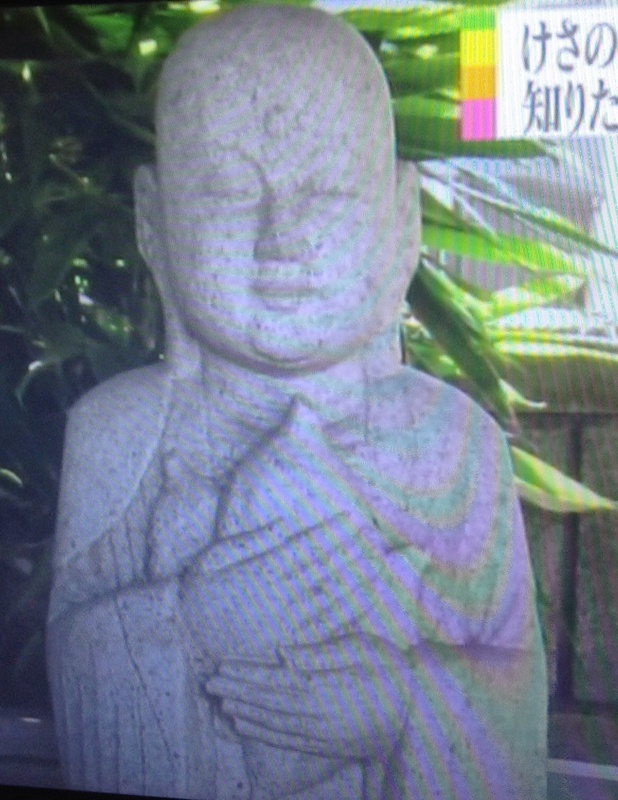 Even the Jizo deity is depicted holding a sweet potato. 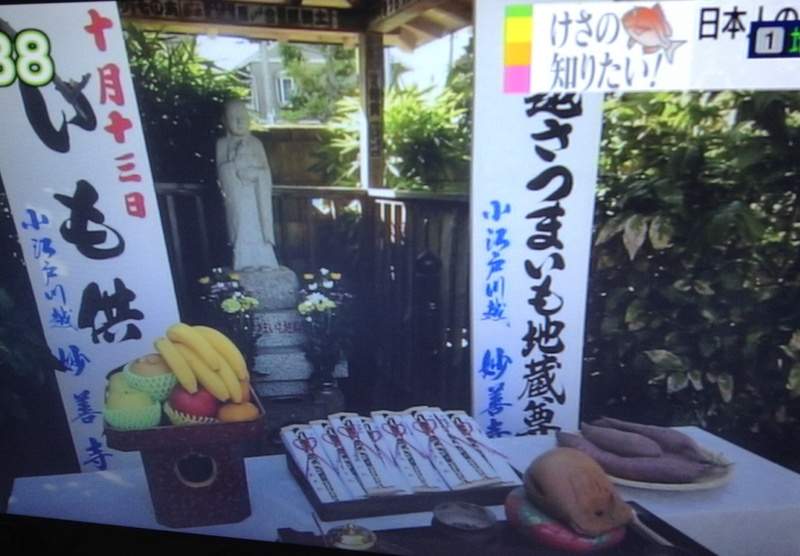 Since sweet potato is the basis of the town’s economy and good fortune, it is only to be expected that sweet potatoes are given as offerings to the Jizo bosatsu deity at Myouzenji, where visitors come to search and pray for good good fortune (the main deity venerated here is Bishamonten, deity of Power). Located in the center of Saitama, Kawagoe City flourished as a castle town in the 17th century during the Edo Period. Before the establishment of the Tokugawa Shogunate, many feudal lords and rulers selected the historical town of Kawagoe as a place to build shrines and other related buildings because of its strategically important and convenient location. Kawagoe thrived as a castle town important for the protection of the Tokugawa Shogunate in Edo. The Shingashi River and the Kawagoe Kaido (road) served as distribution arteries in the Edo period, and the coming and going of people and goods through these arteries gave rise to the various cultures in Kawagoe. The city has been designated an important preservation district for groups of historic buildings where rows of magnificent merchants’ houses in the traditional storehouse-style stand side-by-side. It is called “Ko-edo,” or “Little Edo,” because of its city architecture. The feudal lord of Kawagoe Castle ordered a bell tolling the time be built in the 17th century. The bell has been rebuilt several times, and the present 4th-generation bell is a symbol of Kawagoe, together with the streets lined with these traditional houses. The area around Saiwai-cho, Moto-machi, and Naka-machi with the Ichibangai or the first street at the center, is one of the oldest towns in the Kanto region, where houses, including a draper’s mansion, the Osawa family, and other palatial houses remain. Just a short walk from Kawagoe Station, the streets start their metamorphosis into a town that in its entirety … looks like a museum. Following an event known as the Kawagoe Great Fire in 1893, wealthy traders supplying the old Edo capital with boats down the Shinagashi river, began to reconstruct their warehouse in the Kurazukuri style. While very costly to build, this method of construction, which – while still looking distinctively Japanese – is made from fire-resistant materials, rather than the clay and wood traditionally used. The buildings are crowned with steep tile roofs featuring immense, fire-deflecting Onigawara (Ogre tiles). Although virtually all of Japan has lost such buildings in the pre world war II era, unusually a preservation movement arose in the town in the mid 1960’ties, after a great deal of the traditional warehouses had been demolished, to preserve what was left of the historic district, and develop it as an attraction. Today the warehouse district covers a few 100 square meters, about 1,5 kilometers north Kawagoe station. While narrow sidewalks along a fairly trafficked road. takes away some of the charm, it is still a worthwhile excursion from Tokyo, for those interested in catching a fleeting glance of the elusive “old Japan”. A famous landmark is the Toki no Kane, or Tower of Time, a bell tower located near the Kashiya Yokucho. Hattori Museum of Forklore (服部民族資料館), 6-8 Saiwai-cho, ☎ +81 49-222-0337. 10:30-16:00. While there is, in fact, nothing relating to folklore in the folklore museum, the old Hattori family for which is warehouse is named, morphed into a medical company. So you’ll find a small display of old medicines, advertisements… and sandals. Free. Kawagoe Festival Museum (川越まつり会館), 2-1-10 Moto-machi, ☎ +81 (0)49-225-2727. 9:30-18:300. If you don’t happen to be in Kawagoe during the yearly festival held in October, you can get a feel for it in this museum, which exhibits the great floats used in the procession and screens a 5 minute movie about the festival. Naturally the museum also details the history of the festival in Japanese. ¥300. Museum of Kurazukuri (川越市蔵造り資料館), 7-9 Saiwai-cho, ☎ +81 49-222-539. 09:00-17:00. Built after the great fire, in 1893, this old wholesale Tobacco warehouse of the Koyama family, gives you a chance to look inside the warehouses, and learn about the history of Kurazukuri construction. ¥100. Osawa Residence (大沢家住宅), 1-15-2 Moto-machi, ☎ +81 49-222-7640. 9:30-17:30. Built it in 1792, this warehouse from where the Osawa family traded Miso and Soy, survived the inferno of the great fire, and today stands as the oldest storehouse in Kawagoe. The first floor contains a store while the second floor houses a small exhibition. ¥200. City Museum (川越市立博物館), 1-20-1 Kosemba-machi, ☎ +81 (0)49-222-5399. 9:00-17:00. Useful after visiting the warehouse district as it contains information on how the warehouses was build. Otherwise your average local museum detailing local history with artifacts and models. Next door is a small art museum with a collection of local art. ¥200. The history of what became of the Kawagoe landlord owners and clans is somewhat bloody. Kawagoe is in the middle of Saitama Prefecture and retains a great deal of old Tokyo history. It is surrounded by rivers, which made it an ideal location for a settlement. People have been living here since ancient times. As with any peaceful settlement, power-hungry and greedy warlords rose up to conquer and take control of the land. The Kawagoe clan, who were especially powerful warlords, ruled this area till around the 12th century. When the Minamoto clan was ruling the shogunate (the military government of old Japan) in Kamakura, its first shogun, Minamoto no Yoritomo (1147-1199), had his eye on Kawagoe, or more appropriately, the owner of its land . The owner was Kawagoe Shigeyori. 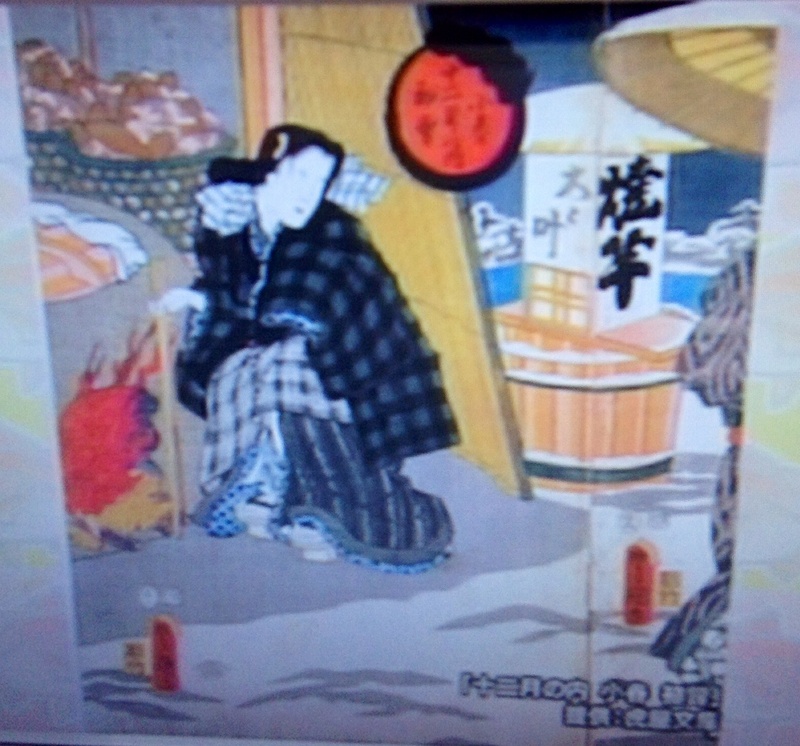 His daughter was married to Yoritomo’s brother, Yoshitsune. However, Yoritomo ousted the highly popular Yoshitsune and ‘inherited’ old Shigeyori’s land in 1185, before having the poor fellow executed. In 1336 the shogunate was taken by Ashikaga Takauji (1305-1358), who became the first shogun of Muromachi government. He established the Kamakura office to rule the Kanto region. The Kamakura-kubo, head of the office, was succeeded by the Ashikaga clan; the Uesugi clan was to support the head. However, the Kamakura-kubo opposed both the Shogunate and the Uesugi clan. In 1457, the Uesugi clan claimed that they were now the dominant power in the Kanto region. They ordered Ota Dokan (chief retainer of the Uesugi clan, 1432-1486) to make three castles. It was about this time that the warlords, now known as “feudal lords,” wanted to expand their territories. Hojo (from Odawara) battled against Uesugi in this area. The Uesugi clan lost and the Hojo clan now owned Kawagoe. Toyotomi Hideyoshi (1537-1598), a warrior who unified Japan, conquered the Kanto region in 1590 and he also conquered the Kawagoe castle. He ordered Tokugawa Ieyasu (1543-1616), who was a retainer of Hideyoshi and later became the founder and first shogun of the Tokugawa Shogunate in 1603, to rule the Kanto region. Ieyasu noticed that Kawagoe was in a strategically advantageous position and decided to place a retainer there. Soon thereafter, Kawagoe became a military base for transporting goods to Edo. The Tokugawa Shogunate took all authority away from the feudal lords and stationed family and close relations to rule over the land . About 250 years later, in 1853, Commodore Matthew Perry from the U.S. navy came to end the Sakoku ( a policy that permitted no foreign trade routes or travel into and out of Japan ). At that time, the people of Kawagoe were ordered to provide coastal security. After the Meiji Restoration in 1868, Kawagoe became the local center of trade. The town bustled with commerce and the prefecture’s first national bank, Dai Hachijugo Bank, was opened. In March 1893, a massive fire burnt down one third of the buildings in Kawagoe. After the fire, local people rebuilt fireproof storehouses, of which some 30 survive and still stand today in their modified original form. The town now has a population of around 340 ,000. The Kawagoe Castle, in ruins today, is one of three castles made by Ota Dokan and his father, Michizane. These days only the Honmaru Goten (part of Kawagoe Castle) remains. There is a museum for the public. Kawagoe is also an important religious center in Japan. Kitain (喜多院, North Temple), Nakain (Middle Temple), and Minamiin (South Temple, now destroyed). This temple was built in approximately 830AD by a monk named Ennin. He called it Muryoju-ji Temple. In 1205, it burnt down due to a fight ; it was thereafter rebuilt by a monk called Sonkai . In 1301, Emperor Gofushimi made it the head temple of 580 temples in the Kanto region. This temple had three branch temples : namely, Kita-in (North Temple), Naka-in (Middle Temple) and Minami-in (South Temple). In 1599, Tenkai (1536-1643), who was an advisor of Tokugawa Ieyasu, became the top monk of Kita-in. Aside from receiving pecuniary help, the temple changed from being the gloomy “North Temple (北院)” to “The temple of great happiness (翫刻)@).” The Tokugawa Shogunate and the temple have a long history of working together to keep the masses happy..Kita-in Temple boasts Kyakuden, a reception hall, and a study hall Sho-in, both of which are important cultural properties. Kitain is today the head of Tendai Sect (one of the two most important buddhist sects) in the Kanto area. It is worth to pay the 400 yens entrance fee to visit the grounds of the temple. A magnificent garden can also be seen – but unfortunately it is not possible to wander in it; this garden was designed by Kobori Enshu (1579-1647), one of the three masters of the tea ceremony at the beginning of Edo era.You can also see the Gohyakurakan which is over 500 stone statues representing the disciples of Buddha, Shaka Nyorai, Amida Nyorai here. Kitain is also famous as the the birthplace of the Shogun Tokugawa Iemitsu (徳川 家光, 1604 – 1651, third shogun of the Tokugawa dynasty); the room were it is though he was born is located next to the garden, and features a ceiling with floral ornaments. The next room was probably that of his nursemaid, Kosuga no Tsubone, who bacame later a powerful woman living in the Edo Casatle. The importance of Kitain is mostly due to its head priest in the 16th and 17th century, Tenkai (天海, 1536-1643), who was a consultant to the three first Tokugawa shogun. On the ground of the temple – where for an unknown reason bells should never be rung – a tiny spot can be found where 540 statues of disciples of Buddha can be seen. Those gohyaku-rakan (marker 6) statues are said to represent every single human emotion. They were carved between 1782 and 1825. It is really amazing to walk around, and watch closely those faces… One of the legend says that if you walk in that place at night and touch the statues, one of them will be warmer; you should mark it by putting a coin next to it, and come the next day to see which statue represents your actual feelings (practically difficult to do, as the place is closed at night…). The first 3 days of the year, the temple is packed with Japanese who not only come to pray for the new year, but also to buy some daruma, a kind of popular doll – the tradition is to paint one pupil of the doll and make a wish, and paint the other one after the wish has been granted. 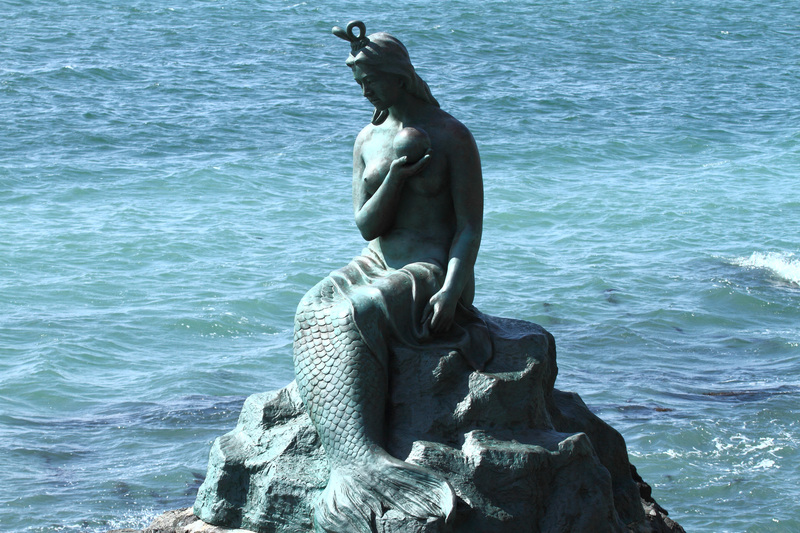 There are actually 538 statues here. They are carvings of the Buddha’s disciples, created during a period of about 50 years between 1782 and 1825. Each and every one of them has an individual personality. According to legend, if you touch each Buddha in the calm middle of the night, you’ll find one that is warm. Mark it and come back the next morning. Provided no one has moved your mark, the Buddha you chose will be the one that most resembles deceased your father or mother. Every morning in the center of the town, when the mist shimmers from the rising sun, a large bell rings. The original bell was made during the 17th century and the current version was constructed after the massive fire in 1893. The bell has been striking the time to the people four times a day for 350 years. Kawagoe is definitely a town that strives to keep its cultural history. Kawagoe Festival (Kawagoe Hikawa Festival Float Event) takes root in the “Reitaisai” festival held at Hikawa Shrine on October 14, and is also consisted of the “Jinkosai” festival and “Float Event (festival)” that are held immediately afterward. The “Jinkosai” festival started life in 1648, when it was promoted by the reigning Kawagoe clan lord Nobutsuna Matsudaira Izunokami, who offered religious artifacts such as a portable shrine, a lion mask and taiko drums to the Hikawa Shrine. From 1651 onward, extravagant processions passed through the neighborhoods of shrine parishes, and these were soon joined by members of the commercial elite. It is in these rituals and festivals that the Kawagoe Festival takes root. Go to the Kawagoe Festival Museum (\300) to check out the contenders for the battle. Twenty-nine parade floats, or rolling musical mini castles with different histories and songs, roam the streets for a musical battle. The float with the song that makes the most noise and causes its contender’s castle loose wins and is greatly applauded by the crowd. There are life-size (or alittle bigger) dolls riding atop these floats. The interesting mechanism of the floats is such that the dolls are drawn inside the floats, allowing them to pass through ‘real castle gates.’ This happens once a year, on the third weekend every October. See also this beautiful photo of a fox folklore character at the Festival. Boat transport on the Shingashigawa River allowed Kawagoe not only to receive the latest fineries and customs that came in from Edo, but also gradually developed the festival. Later on, with the advent of festival floats taking the central role in the Edo Festivals, all the festival floats of the 10 neighborhoods were in 1844 unified in a single-column style and dolls were placed on the balustrades, as they are depicted in Hikawa-sairei-egaku (a votive picture scroll). The Kawagoe Festival has been passed down in an unbroken line, and in February 2005, as an invaluable town festival that preserves the style and elegance of the Edo Tenka Festival, the ‘Kawagoe Hikawa Festival Float Event’ was designated as a National Important Intangible Folk Cultural Property . Under the divine protection of the Grand Hikawa Shrine, the people of Kawagoe that had brought this castle town to prosperity have proudly developed the Kawagoe Festival by using this economic strength both to maintain a history of over 360 years, as well as add its own unique Kawagoe features. The Kawagoe-matsuri Festival celebrated in the fall is one of three best festivals in the Kanto region. You will see exquisitely decorated seven-meter tall floats parading the city. The Kawagoe Festival happens annually on the 3rd Saturday and Sunday of October in Kawagoe City. The highlight of the city’s festival is called “hikkawase,” which is sort of a traditional battle of the bands… After dark, the floats are lit up by lanterns and begin to parade around the streets with their bands perched up on top. When two floats meet or catch up to one another, the bands on the floats will play music competitively, each trying to outperform the other. Amongst the floats, lanterns, music, people, and food, it is easy to see why this festival has grown over its 350 year history to be one of the biggest on offer in the Tokyo area, in fact it was designated a “National Important Intangible Folk Cultural Property” of Japan. The tall torii gate is 15 meters high and is found on the approach. A Shinto shrine grounds is filled with numerous trees over 500 years old and the sacred keyaki tree rustles in the wind. The history of Kawagoe Hikawa Shrine is very old going back to 6th century when it was separated from Omiya Hikawa Shrine. After that, Ota Dokan who constructed Kawagoe Castle became familiar as ‘Hikawa-sama (Mr. Hikawa)’. The sacred shrine pavillion with elaborate Edo carvings was constructed by Matsudaira Naritsune, a castle lord, as a donation. In the center of the bright vermillon red torii gate is a framed symbol with writings from Katsu Kaishu. In 1956, the Main Shrine and other historical buildings that pass on Edo culture were registered as a designated cultural property of Saitama Prefecture. Known for enshrining the god of married couples, it is believed to be the ‘God of Marriage’ where many couples are seen holding weddings every year. On a lucky day, you may be able to see a bride wearing a shiromuku, a pure white kimono. Throughout the year there are many types of events. In February, there are prayers for ‘traffic safety / achievements in studies’ and ‘purification of student’s leather backpack’. In August, Takigi Noh (Noh dance performed under the light of a bonfire). And in mid October, the famous Kawagoe Festival. Within the shrine grounds full of greenery, not only will you see visitors coming to pray but also local people who come to relax and enjoy the four seasons. [Related shrine in Omiya Saitama: Hikawa Shrine (氷川神社) in Saitama is one of the oldest shrine in Japan. It was established in 473 B.C.E. The Saitama’s former city, “Omiya,” was named after this shrine. Hikawa Shrine is one of the major groups of Shrine in Kanto, especially around Arakawa River. Also, it is the major spot in Omiya area. As the primary shrine of Musashi, many people worship this shrine for praying wishes for their happy everyday life.. This Shinto shrine is dedicated to the veneration of the kami or spirits of Susanoo no mikoto, Ōnamuchi-no-mikoto and Inadahime no mikoto. As many as 290 daughter shrines exist across Japan, all named “Hikawa”. Most are small, but all are considered dwelling places of Susano. According to the shrine’s tradition, the shrine was established during the reign of Emperor Kōshō in 473 BC. A legend recounts that Yamato Takeru, who injured his leg during his crusade to the East, visited the shrine in accordance with the directions of an old man who appeared in a dream. After worshiping, he was able to stand on his own. It is known that the old name of the region, Ashidate (足立? ), literally meaning “leg stand”, was named after this incidence. The pond within the grounds of the shrine is a remnant of Minuma and considered to have roots in enshrining the water god of Minuma. In Japanese myth, Yamatotakeru no Mikoto visited this shrine and pray his victory of his eastern war. In the time of Emperor Seimu (early 2nd century), Edamohi no Mikoto brought people of Izumo and found the land of Musashi and Hikawa Shrine. In the time of Emperor Shomu (724 to 749), it was set as the primary shrine of Musashi. In 766, Hikawa Shrine was the only shrine allowed to have a sacred well. 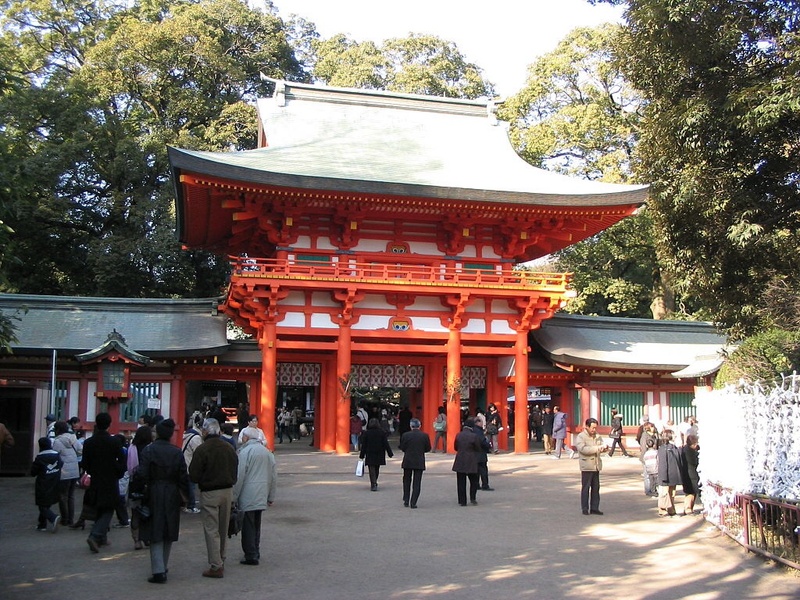 Emperor Daigo set Hikawa Shrine as the “Myojin Taisya,” the highest rank of Japanese Shrine. Also, many shoguns played great respects to this shrine. Minamoto no Yoritomo contributed lands to Hikawa Shrine. Ashikaga and Hojo also contributed. Tokugawa Shogun also contributed another 300 koku of Land. Hikawa Shrine has a 2km long of Sando, the main streeet to the shrine. It runs the south of the shrine. There are three huge Torii Gates and a beautiful Keyaki Tree Avenue. [Rail] 24 min from Tokyo to Ikebukuro Station by JR Yamanote Line, and 33 min from Ikebukuro to Kawagoe Station by Tobu-Tojo Line (regular express). Whenever I visit Kawagoe, I grab some sweet potato onigiri and sweet potato ice cream. Neighbouring Miyoshi lays claim to being the birthplace of sweet potato farming in Japan, but it was part of the Kawagoe fief. The owners have allowed me to handle some swords and muskets every time I have visited.